What makes love last a lifetime? No one marries intending to fail. Each couple that says “I do” hopes for a long and beautiful life together. But as time passes, many drift apart, and some eventually call it quits. But what about the ones who stay the course, who don’t just bear through marriage but actually love it? What’s their secret? It’s simple, really: there is no secret. They follow God’s revealed design. 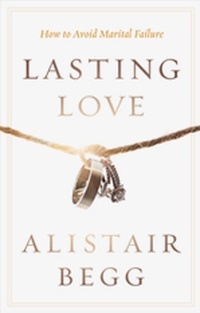 In Lasting Love, Alistair Begg unfolds this design. After laying theological foundations, he builds levels of application, showing how God’s blueprint makes marriages sturdy and vibrant. Heed the advice of this pastor who has seen too many marriages come and go. Let yours last a lifetime.